Excellent miniature of this rare tellurium oxide. 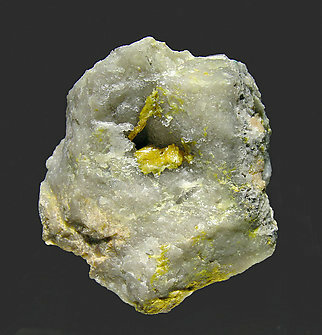 It is in groups of deep yellow acicular crystals in vugs on a Quartz matrix. We will send the label of the sample, from Scott Williams Mineral Company, Scottsdale, Arizona, to the buyer.